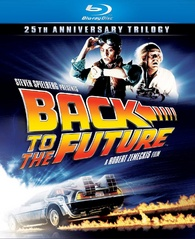 HDD Spotlight Bargain: 'Back to the Future Trilogy' Blu-ray $19.99 at Amazon! Amazon has reduced the price of 'Back to the Future Trilogy' featuring Michael J. Fox and Christopher Lloyd to $19.99 (75% off suggested list price).